Data Environments’ full service commissioning process facilitates the efficient turnover of systems operation to Operations and Maintenance (O&M) teams. We work with teams for final approval of the turn over list. In the design phase, we work with O&M staff to establish project requirements for service access to equipment; documentation and training; and other issues. In the project management phase, we involve teams in regular site reviews to confirm installation in accordance with specifications and needs. 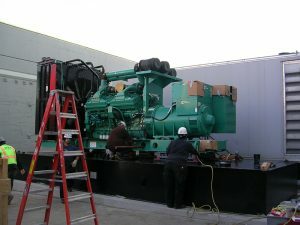 We also engage teams in the commissioning installation review and functional testing. Data Environments, Inc. coordinates with the construction general contractor, subcontractors, vendors, and suppliers to gather a complete set of the construction documents, including warranty cards, closed permits, test documents, specifications and “as built” drawings, and the approved sequence of operations for electrical, mechanical, building management, security, power monitoring, fire protection, leak detection, emergency power off, and other systems in the design. A training matrix and a signed-off punch list are included. During turn over, Data Environments confirms O&M training complies with the requirements of the project, and we review documentation to ensure all issues are closed. A hard copy and soft copies of all record files are provided to the owner/agency in the commissioning documentation.